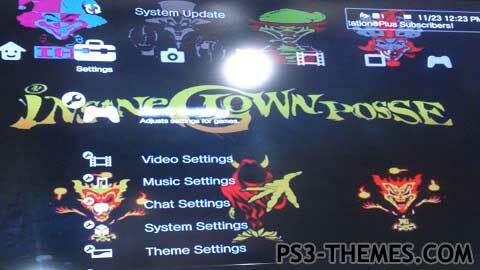 ICP Theme with 4 backgrounds, and sounds, and original psn icons. None of the images are mine I just compiled them into a theme. I take no credit for image awesomeness, only theme awesomeness. This theme was posted by PS3 Themes on September 10, 2013 at 1:35 pm, and is filed under Music.You can leave a response or trackback from your own site.